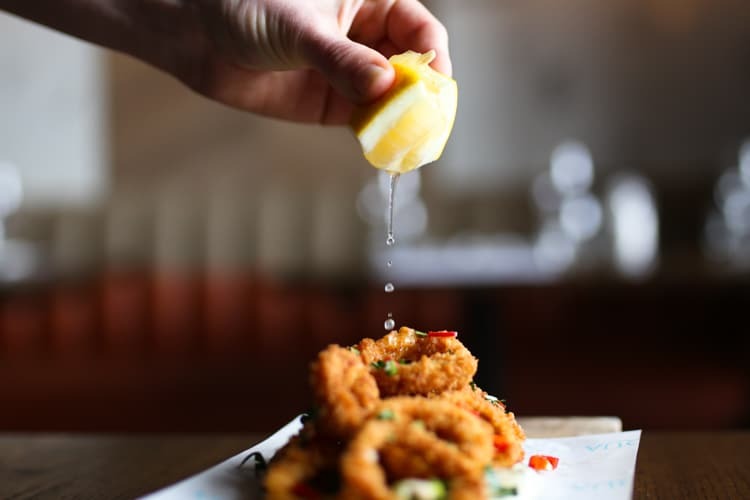 If your looking for an Italian restaurant Brighton has plenty to offer, so if you’re craving pizza, pasta, Italian bacaro’s, authentic Italian Osteria’s or Northern Italian fine dining then look no further as we’ve compiled a selection fo the best. 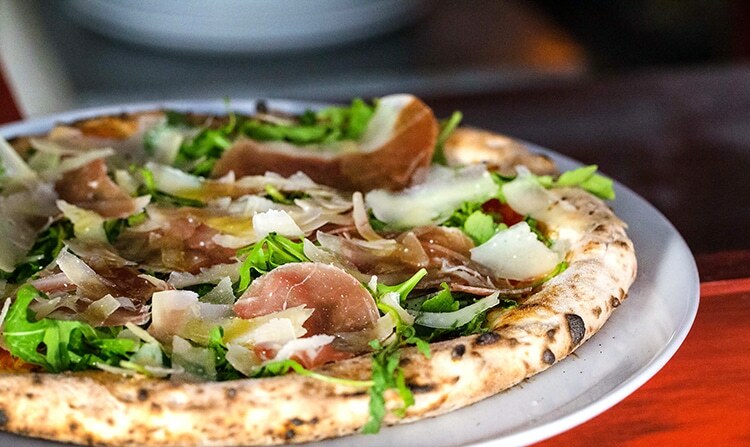 Serving you a slice of Naples on Brighton’s West Street, NuPosto Pizzaria brings you the real deal Italian pizza with all the smells of authentic Italy. 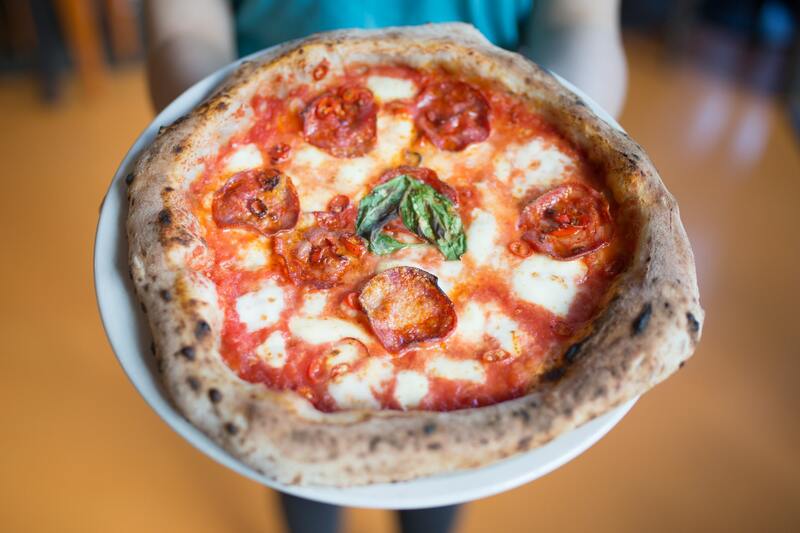 Dough is fermented for over 24 hours to give a soft chewy base that is the perfect platform for rich tomato sauce and fresh melt-in-the-mouth mozzarella that is delivered from Napoli twice a week.Situated towards the bottom of West street and next to the cinema, Brighton Centre and Churchill Square shopping centre, NuPosto is ideally situated for pre or post shopping dining. Award winning Polpo is a bàcaro restaurant. Bàcaro is a Venetian word to describe a humble Italian restaurant serving simple food and good, young North-Italian wines. 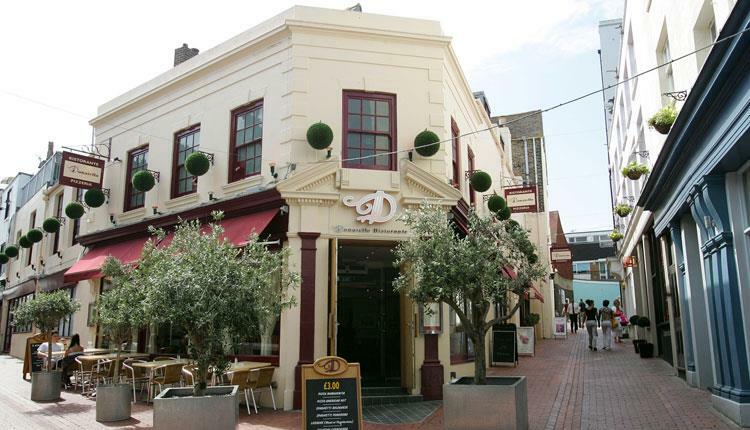 Located on a pretty pedestrianised street in the centre of Brighton, the restaurant is near to the famous Brighton Dome and the Theatre Royal. Polpo is modelled on the scruffy wine bars of Venice and feels urban, rustic and stripped back. Named among three of the best Italian restaurants in the Sunday Times in 2016, Edendum has made an impact in Brighton as one of the go to Italian venues if you are looking for the best quality and most authentic. Comes highly recommended! Aqua offers fresh Italian food at affordable prices, using only the best produce. You will be spoilt for choice when choosing from their a la carte menu with dishes such as slow braised pork cheeks, rabbit ragout and lobster. Aqua serve breakfast, brunch, lunch and dinner, and are open 7 days a week from 9am. The set lunch & early dinner menu offer seasonality and affordability, 2 courses for £10.95 and 3 courses for £12.95. Not only this, Sunday’s they have a great traditional Sunday roast at £11.95 served all day. There’s also a great range of cocktails and 241 Bellini’s 7 days a week, 12pm to 7pm for your perfect Aperitivo! 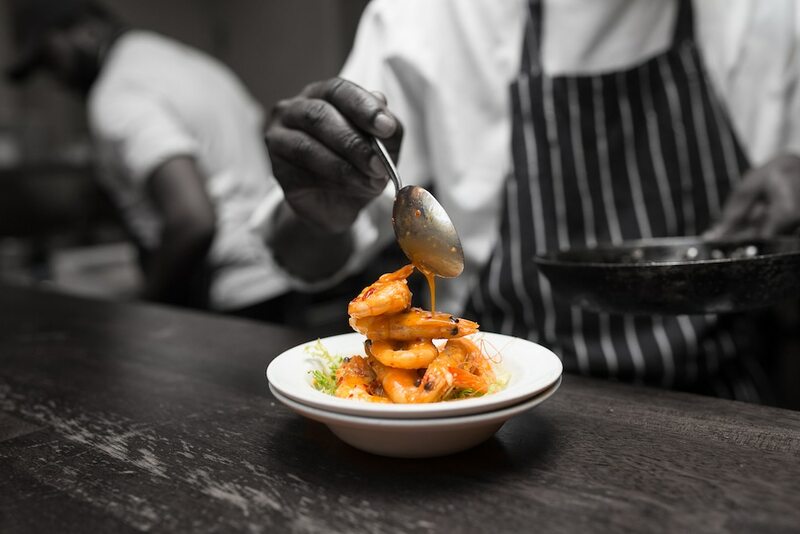 Jamie Oliver’s Brighton Italian restaurant is located on Black Lion Street, a stones throw from the seafront, nestled within the historic Lanes. Whatever the occasion – a quick bite with friends or a big family dinner. They take bookings of any size, from 2-85, but feel free to walk in anytime. Don’t forget their alfresco on the first floor too. Eatalio is a recently new addition to Brighton’s Italian food scene, and is located on Queens Road, about a 5 min walk from the station near Brighton’s clock tower. Inspired by the simple, yet healthy food served from the street carts in Italy, Eatalio provides affordable, grab and go food for breakfast, lunch and dinner. Operating out of a vintage Fiat van, the team behind Cin Cin Brighton, toured the festival and events circuit serving stunning and elegant Italian dishes. In 2016 they settled to life in Brighton at their unique 18 seater bar and kitchen. Serving the same exquisite dishes, drinks and with a passion for superb service, Cin Cin has become one of the city’s must try venues. In 2017 they opened their second venue in Hove which has been an equal sucsess story and in our opinion Cin Cin’s food just keeps getting better! Renowned as a venue for many an occasion, Al Duomo is centrally positioned right next to the historic Royal Pavilion and caters for small and intimate, while also having the capacity for the grand and the elaborate. Set over 5 different floors, Al Duomo Italian restaurant is the longest serving Italian ristorante since 1991. 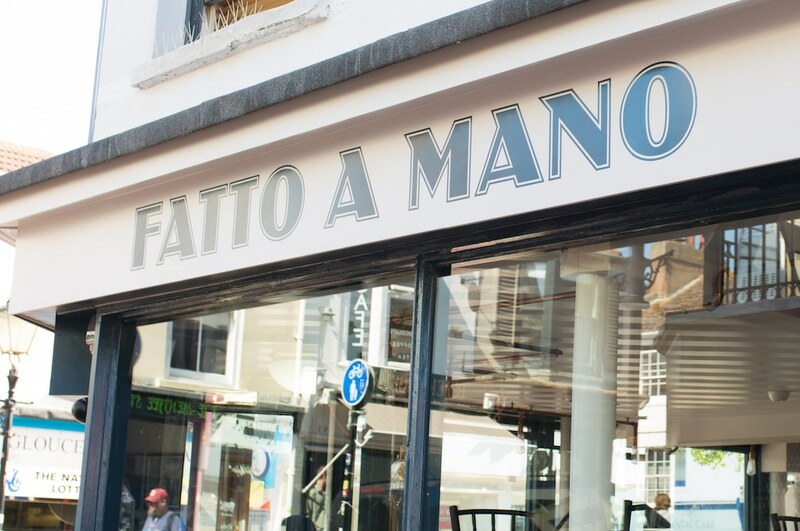 Fatto a Mano Hove have taken the city of Brighton & Hove by storm with their simple and delicious Italian fare and pizzas. The main menu is supplemented by ever-changing specials and all of their dishes are created right in front of your eyes. 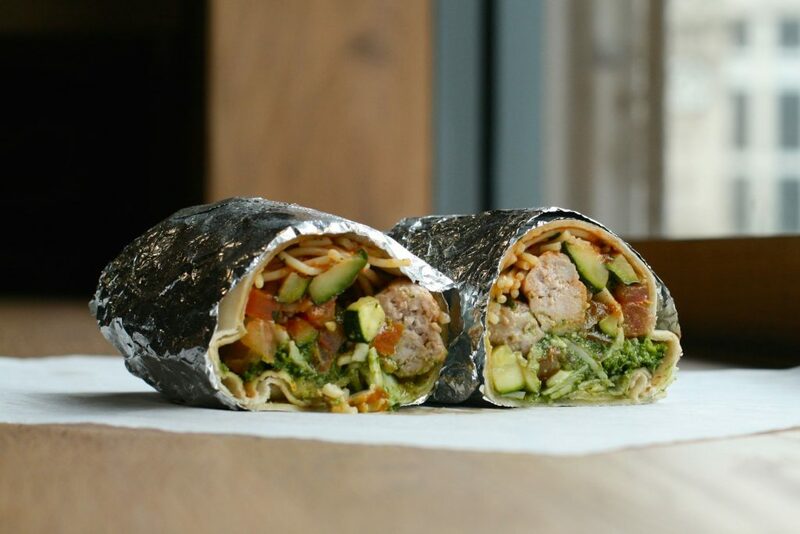 Fatto a Mano have recently created a gluten free base that is as good as their original and offer vegetarian and vegan options. 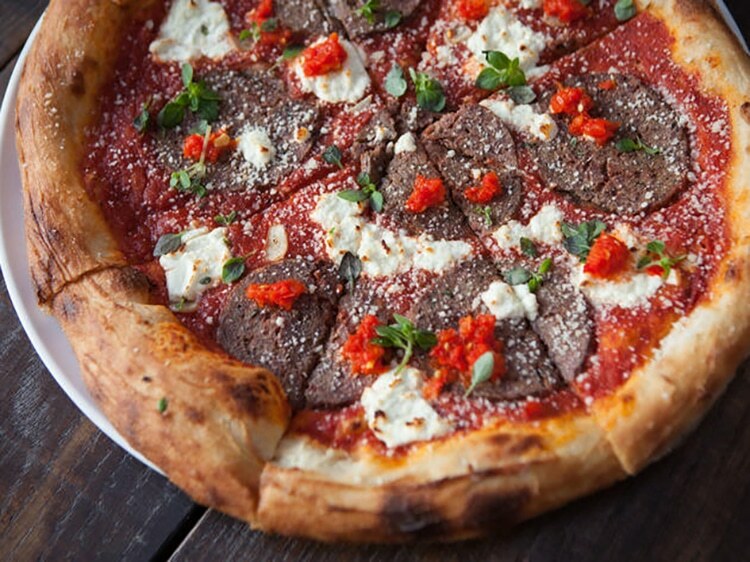 Where plant meets pizza. 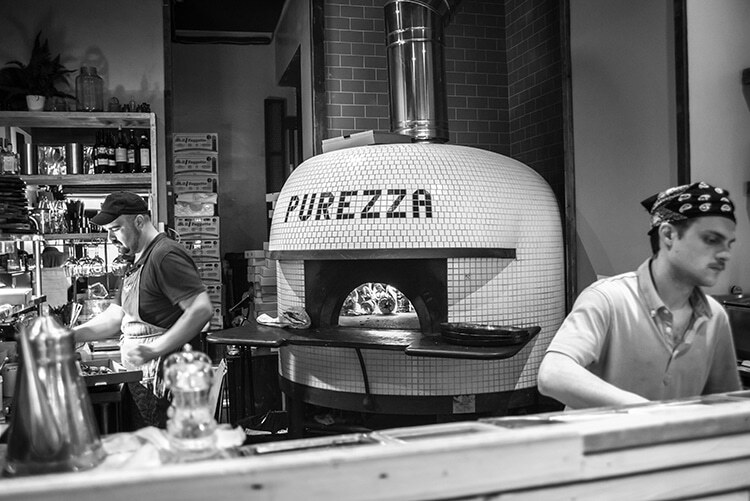 Purezza is Pizzeria in Kemptown that serves pizzas that are not only vegan but nearly 100% gluten free. 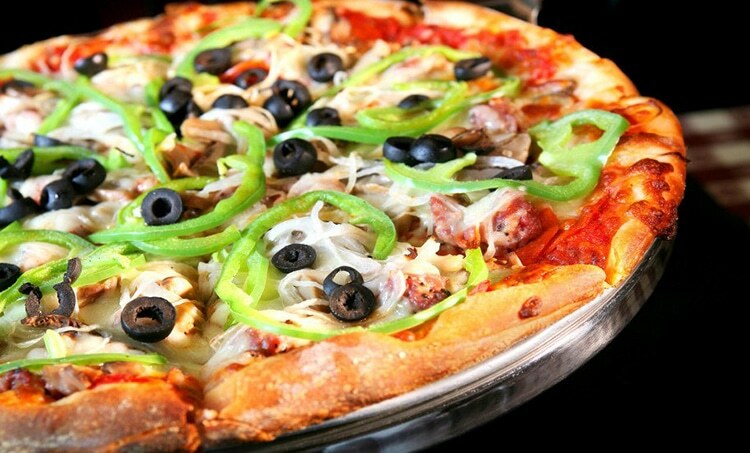 It’s much lower in calories; pizzas are between 480 – 620 calories. 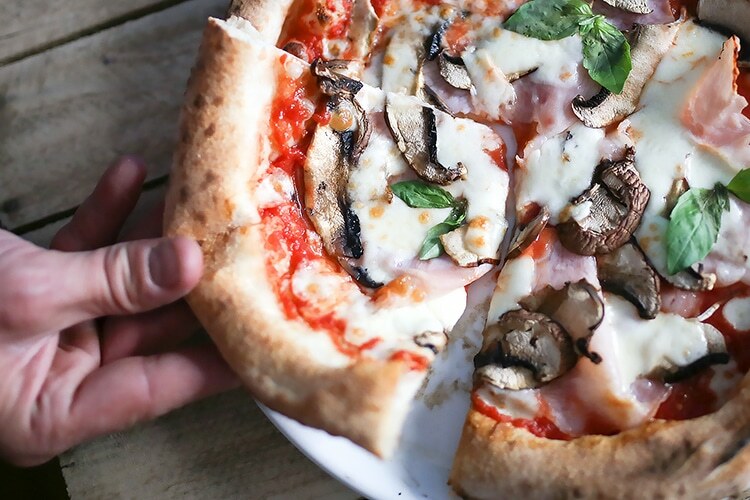 Compared to a ‘typical’ pizza, from a fast food chain or supermarket, this is the equivalent of just 2 or 3 slices. 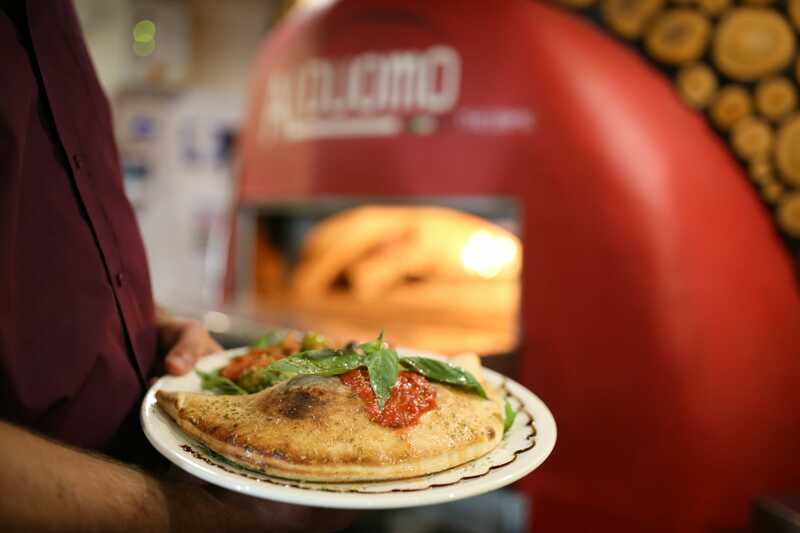 Morelli Zorelli brings you a true taste of Italy, using both artisan and genuine Italian ingredients and is quickly making its mark as a serious contender as one of the best pizzerias in Brighton and Hove. We are talking seriously big Italian flavour, from a smallish but perfectly formed menu using a 150 year old Sardinian sourdough. 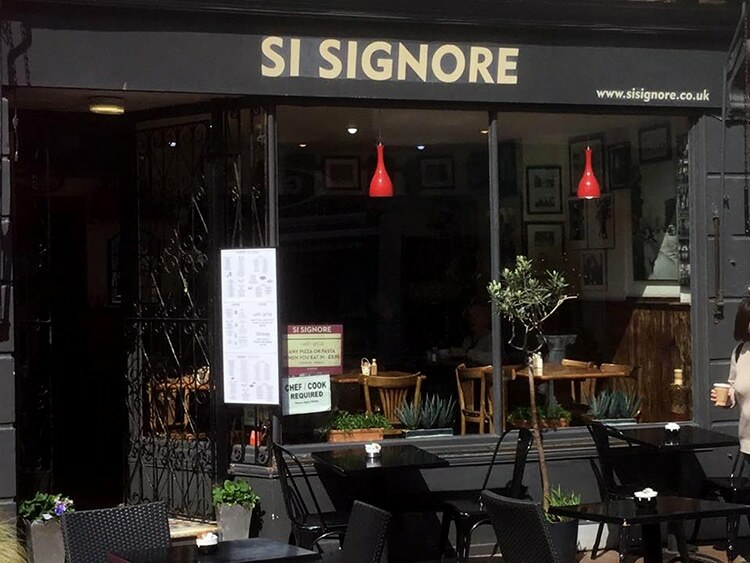 Fully licensed or BYO, Si Signore is located on Sydney Street in Brighton’s North Laine. Described as a café and restaurant, this intimate little venue has a great following in this trendy part of bohemian Brighton. Renowned for their great service and family atmosphere. Here nothing is too much trouble and you will be greated in a typical Italian way, like long lost friends. 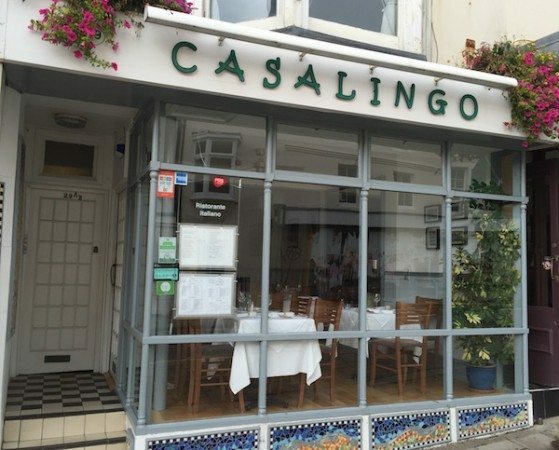 Casalingo offers authentic Italian cuisine on Preston Street in Brighton. 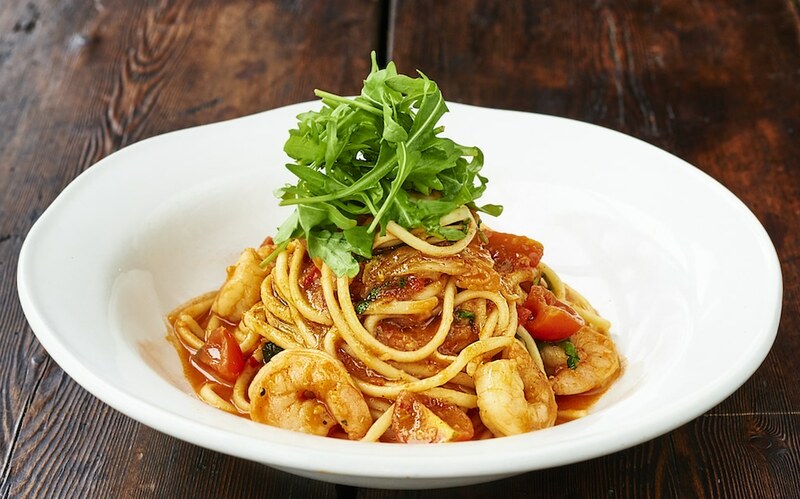 Well known for a relaxed and social atmosphere, this Italian restaurant has a knack for delivering an Italian inspired vibe, using truly authentic recipes and fresh ingredients. Open every evening from 5 pm, 7 days a week, Casalingo offers a true taste of the Italian lifestyle. Alfresco is a modern beachfront Italian restaurant set within an art deco design which offers contemporary Italian cuisine. The success and popularity of the restaurant is down to its idyllic seafront location and its versatility. 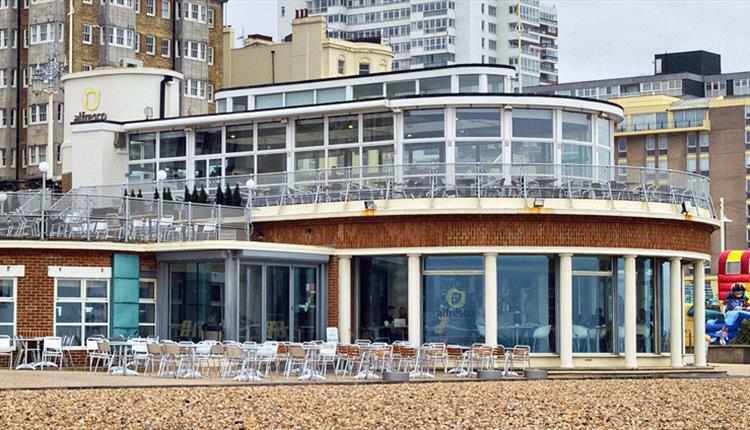 The restaurant boasts magnificent upstairs seating overlooking both piers and offering panoramic views along the coastline. 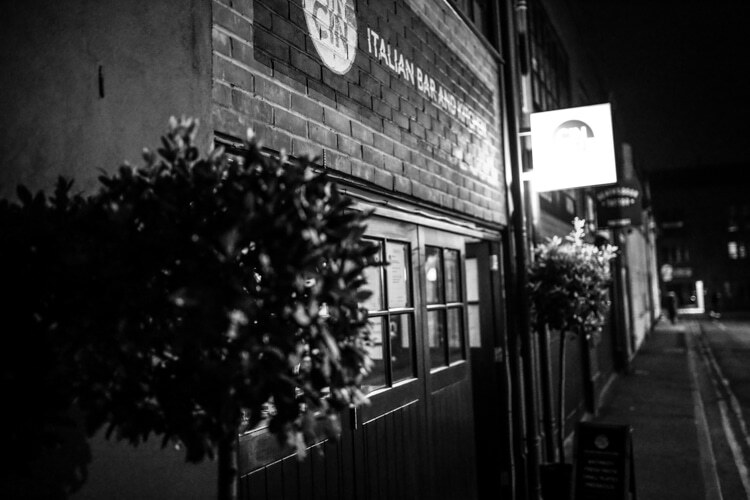 One of the dons of the Italian Restaurant Brighton scene is open 7 days a week from 11.30am to 11.30pm and is great for all sorts of occasions; whether it is for a romantic get together, a group of friends starting a night out or for business lunch or diner. An Italian family-run business, they pride themselves on authenticity and the warm spirit of Italian hospitality. Situated very centrally opposite the Pavilion Gardens, the Dome, the Corn exchange and the Theatre Royal. 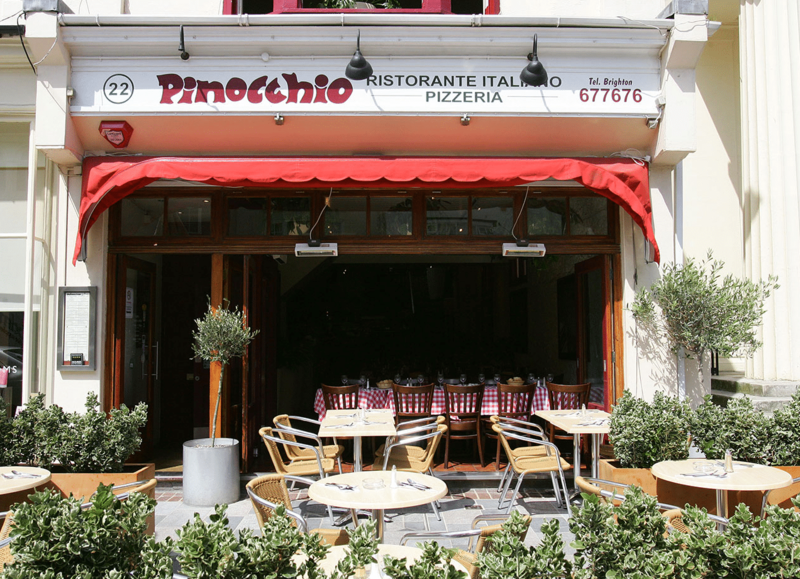 Pinocchio’s is an ideal Italian restaurant to pop into pre or post theatre, and it is one of those restaurants that always seems busy and yet always has room. Part of a small group of Italian restaurants, namely Donatello’s and Fat Leo’s. Generous portion sizes and keen prices makes this great for group get togethers. Offering fresh seasonal and innovative dishes, Otello in Hove has been part of the Hove restaurant scene for some time now. Described as Italian haute cuisine, this Italian inspired menu has a strong Mediterranean influence along with strong authentic Italian dishes. Otello brings you a reasonably priced menu and an open plan kitchen in a traditional Italian style. 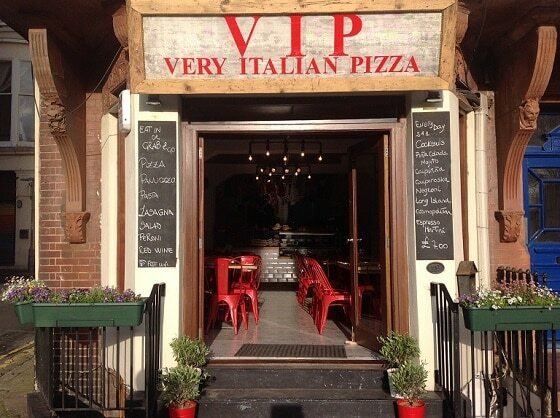 Typical Italian inspired cuisine in the heart of Hove. Orsino Italian restaurant has been in Brighton and Hove for many years now and brings you a classic service led setting, where you can enjoy a range of pizza, pasta, antipasta, salads, seafood and much more. Great for parties and events. Average fare, great value for money and it is the service which is the star here. A relative newcomer to the Italian restaurant Brighton and Hove scene, and one which we have only discovered on the Restaurants Brighton grapevine. 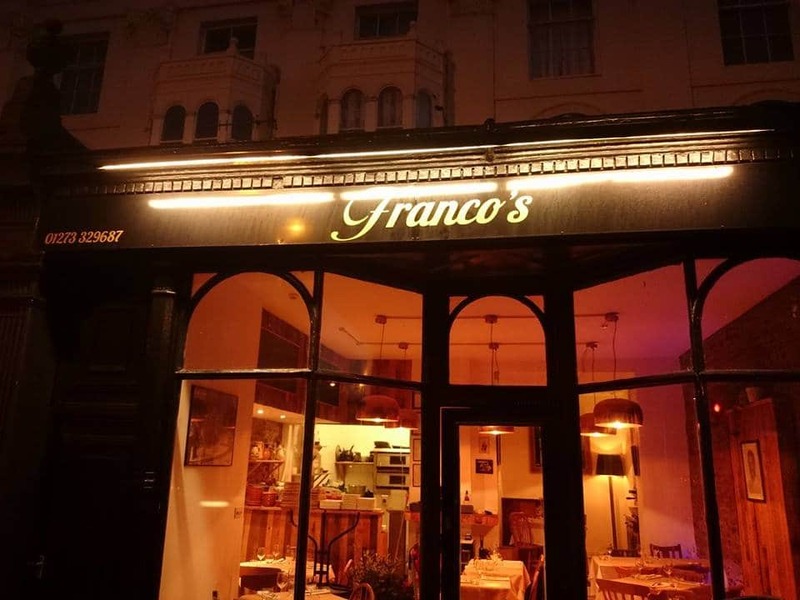 A great addition to this part of Hove and a Italian restaurant described as friendly, charming, affordable and we hear their posh pizza is pretty good. This Ristorante Italiano doesn’t have a website yet, just a Facebook page.